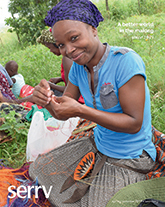 For over 60 years, Serrv has worked to eradicate poverty through our direct connections with low-income artisans and farmers. We market their crafts and foods, find joint solutions to their challenges, and help them grow and embrace the future. We invite you to volunteer with us in New Windsor, MD and Madison, WI and make a difference in the lives of artisans and farmers worldwide! Our New Windsor location is now looking for a local person (someone within about a 40 minute radius) to help with repairs of products sent by our artisan partners. Skills or experience in woodworking, staining, or electric work would be especially helpful. New Windsor is also seeking Long Term Volunteers (individuals or couples able to stay for four weeks or more) to help out in processing or other needed areas. They are especially needed in the months of: March, July, August, early September, and November. We welcome adult and youth volunteers for all day or part of a day, January-March and July-November. Our warehouse is open Monday-Friday 8-4pm, Saturday by appointment. Quality check and sort new products, and receive access to outlet items. Work 6 hours in one day and receive a free lunch. Learn about different cultures, where the products are from, and how they are created, while handling the unique handmade items from all over the world. 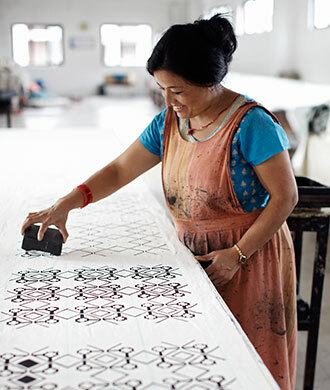 Appreciate how fair trade helps to maintain the cultural traditions and ways of making these items. Be involved in the group dynamics of working together in a service project to eliminate global poverty. Your work can count towards high school and college volunteer service hours. Serrv is located just 7 miles from Westminster off Route 31, in New Windsor, MD There are also, occasionally, overseas volunteer opportunities for limited time periods in certain areas of expertise. Contact our volunteer coordinator to get an application or more info. Interested in representing and promoting fair trade at your local community, school, or church? Contact us to learn more about becoming a Serrv Brand Ambassador.